b. 1558, 2nd s. of John Crewe (d.598), tanner of Nantwich, Cheshire by Alice, da. of Humphrey Mainwaring of Nantwich. educ. Shrewsbury 1571; Christ’s, Camb. 1576; Furnival’s Inn; L. Inn 1577, called 1584. m. (1) 20 July 1598, Julian (d.1603), da. and coh. of John Clipsby of Clippesby, Norf., 3s. or 2s. 1da. ; (2) 12 Apr. 1607, Juliana (d.1629), da. of Edward or Edmund Fusey of London, wid. of Sir Thomas Hesketh, s.p. Kntd. 1614. Bencher, L. Inn 1600, Autumn reader 1602, keeper of black bk. 1606-7, treasurer 1610-11; serjeant-at-law 1615; King’s serjeant 1624; l.c.j. of King’s bench 24 Jan. 1625-9 Nov. 1626. Speaker of House of Commons 1614. Of humble origin, Crew’s initial career was no doubt helped by his first marriage, to the Countess of Shrewsbury’s maid. 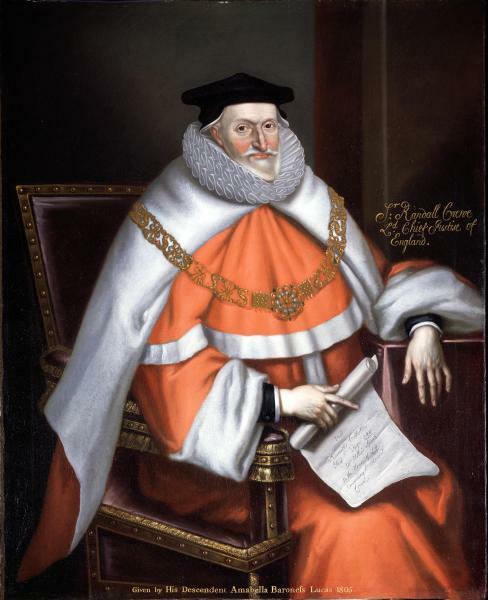 A few days before the wedding, the 7th Earl wrote to Robert Cecil asking him to procure some venison for the celebrations. 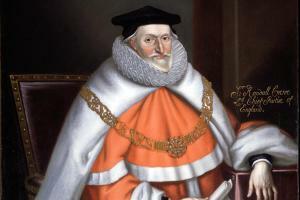 Crewe was a protégé of Lord Keeper Egerton, who was behind his return to Parliament in 1597. He served on several committees: for privileges and returns (5 Nov.), a bill about Arthur Hatch (22 Nov.) and the bill against lewd and wandering persons (20 Dec.). On 16 Jan. 1598 he was among those nominated to attend a conference with the Lords on the defence of the realm. He is not recorded as speaking in this Parliament. I had given many other legacies, but not now being able to perform them I must be excused and have taken out two of the sheets [of the will] before much razed. DNB; Ormerod, Cheshire, iii. 310, 313-14; Vis Cheshire (Harl. Soc. lix), 68-9; CP, iv. 213; HMC Hatfield, viii. 260; D’Ewes, 552, 561, 575, 581; PCC 65 Twisse.